Prospective clients and consulting partners have asked about R|CAT’s status of securing environmental and professional liability insurance. This post is self-declaring that R|CAT is securing environmental and professional liability insurance. R|CAT maintained insurance through 2007. 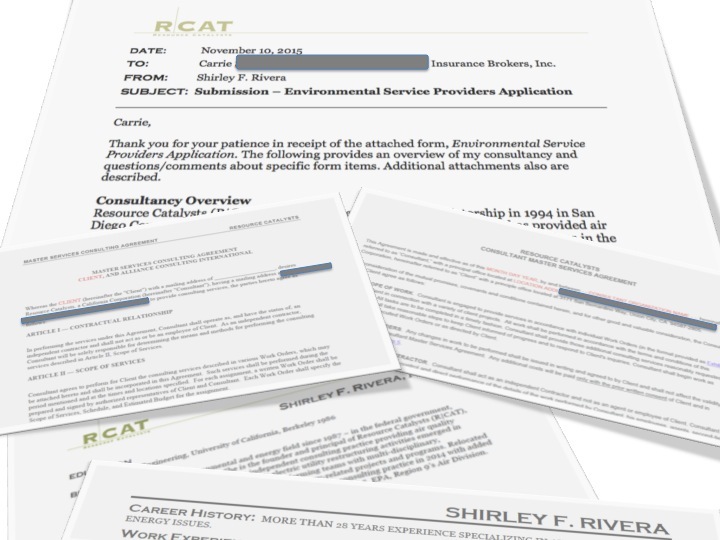 However, given R|CAT’s inactive status as an environmental consulting practice since late 2007, insurance is being sought as a “new application” rather than a “renewal application”. At this point, several brokers are being contacted. Requisite attachments (e.g., contractor agreement, resumes, statement of qualifications, etc.) are being provided. Meanwhile, R|CAT also is seeking certifications for those programs where R|CAT is qualified as described in by the California Public Utilities Commission, Utility Supplier Diversity Program. Learn more about R|CAT. Our services include air quality, energy projects, environmental communications, and behavior design. Contact us over here.